Join Jobey Wilson, Lexington Symphony Tuba player, Zebediah Upton, Lexington Symphony Trumpet player, and more at Camp Jobey, an exciting all brass summer camp! The camp takes place over four weeks for various experience levels for middle school & high school students. Each week leads to a "Brass Blow Out" student concert on the last day. Please visit campjobeybrass.com for more information. Bill Kirkley and Liz Whitfield will be joined by Soprano Alexandra Whitfield performing music for voice, clarinet and piano by Spohr, Britten and Vaughan Williams. The camp takes place over three weeks across three different experience levels for middle school & high school brass students. Join Lexington Symphony Flutist Ona Jonaityte, Lexington Symphony Horn player Anne Howarth, in their woodwind quintet Vento Chiaro this July 11th. 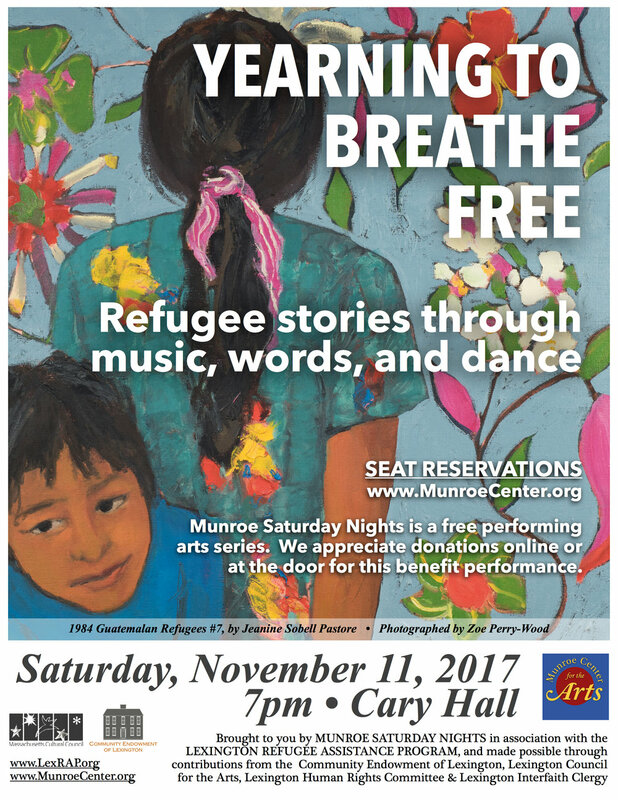 One of our bassoonists, Patti Yee, will be performing in the following event. Steven Karidoyanes, Conductor Mike Wankum, Guest NarratorWCVB Channel 5 Meteorologist, reading excerpts from the Declaration of Independence accompanied by the orchestra. Founded in 2007, Youth & Muse Internation Boston Music Festival has been a leading institute in the New England area and is the only festival that provides opportunities for students to work on their concerto, chamber music and solo repertoire. This year, the Festival will focus on intensive chamber music training to young musicians ages 12-22. Each student will play with the faculty members. Join Lexington Symphony Horn player, Anne Howarth, and new music ensemble Juventas on Father's Day Sunday, June 17, 2018 at 3:00 pm. Celebrating the release of Juventas’s new album, You Are Not Alone, featuring chamber music by Artistic Director Oliver Caplan. You Are Not Alone raises awareness on breast cancer, marriage equality, and the environment through deeply personal works that share stories of social justice, conservation, and community. Join Lexington Symphony violinist, Rebecca Hawkins and A Joyful Noyse on Sunday, May 20 at 2:00pm at Hancock Church. An early music concert on period instruments with a creel-full of glees, rounds and songs about fish, fishermen, fishmongers and fish eaters. The program will feature 5 new works by area composers celebrating the legacy of MLK Jr.
Join Lexington Symphony Bassoonist Patti Yee and the King's Chapel Choir, Soloists & Orchestra at Israel in Egypt. 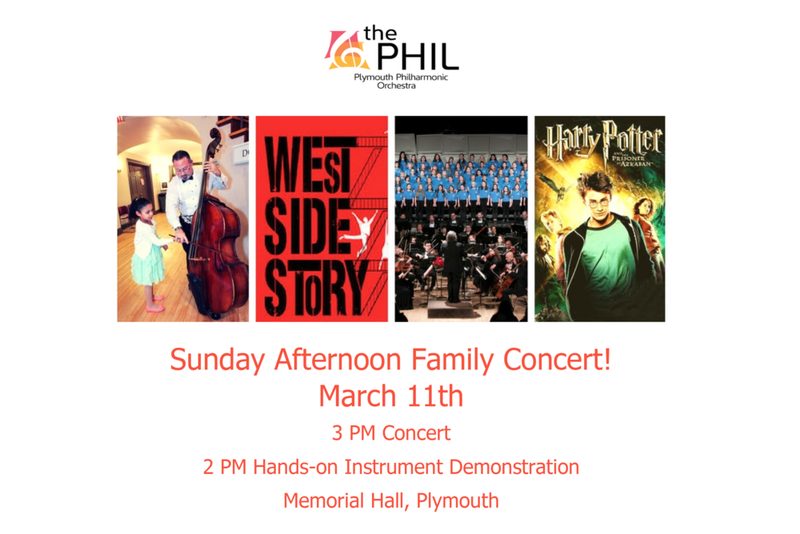 Join Lexington Symphony Bassoonist Patti Yee and the Plymouth Philharmonic Orchestra for an afternoon family concert that includes, a chorus of over 100 voices, a meet and greet with the musicians, Harry Potter, and a fantastic young soloist. 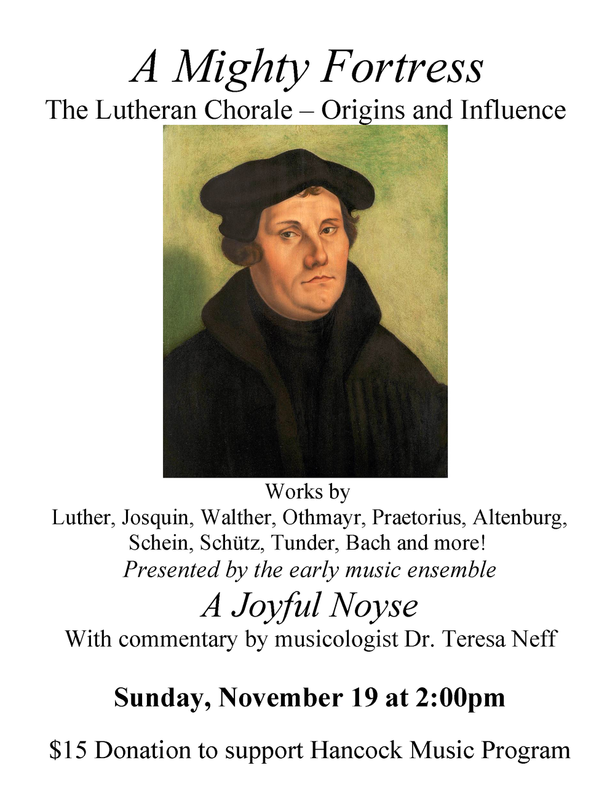 A Joyful Noyse, an early music group based at Hancock Church on the Lexington town green, will present a Lenten concert on Sunday, March 4 at 2:00pm with works by Charpentier, Cozzoloni, Telemann, Handel and more. Details are below! Yi-Li Chang, who is a regular sub at Lexington Symphony, will also be playing baroque violin. Vento Chiaro performing on Rivers School Conservatory's Free Sunday Series recital entitled "Faculty and Friends"
Rebecca Hawkins, one of our wonderful musicians, will be performing here on Baroque Violin. Mozart Quintet for horn and strings K. 407 on a program entitled "Lore"
Our Bassoonist, Patti Yee, will be performing with the Worcester Choruses on Sunday November 12th. After years of planning, The choruses of Central Massachusetts and Music Worcester are thrilled to present a choral collaboration, the likes of which Worcester has never seen, to perform Benjamin Britten's War Requiem at historic Mechanics Hall. Under the direction of Chris Shepard, The Worcester Chorus of Music Worcester will join forces with The Salisbury Singers, Master Singers of Worcester, Sounds of Stow, and the Worcester Children's Chorus for this presentation. Chen Lin, one of our Violists has an upcoming performance. Liz Whitfield and Randy Hiller, two of our wonderful Lexington Symphony musicians, will be performing for this event! Chen Lin, one of our Violists has an upcoming show. See our Harpist, Gréta Ásgeirsson, and two other US Air Force Bandsmen (women) this Thursday, 5 October at 7:30pm at the Lyceum in Alexandria, VA!